I accidentally blocked someone on WWF and can’t seem to unblock them. Any suggestions? Update: I took away a star because the lagging in the lightning round is absolutely ridiculous. The game is freezing as I try and place the tiles and the boards are freezing so bad that once it does start again, the other team is up by 100 points or more! I used to really enjoy the game but lately while playing Lightning Round and the Solo Challenge all I get are vowels. There’s only so many words you can make with 3 A’s an I and an E. Lightning Round also lags horribly. Between the horrible letter choices and the lagging I may have to find a new game. The wrong word icon not working again. Please fix. This is my favorite game. The help icon makes the game faster. PLEASE FIX THE CORRECTION ICON PLEASE,PLEASE,PLEASE😢 Now the Rewards button has not worked in two days. Even some of the baskets I get won’t open then they sudden ope. Yuk what’s going on. Words with friends is great. I enjoy playing the lightening rounds and against the word masters, etc. there are some glitches as to how many coins you have, on top of the fact they now raised the power ups to like 100 coins for the 5 pack of swap+. What really bothers me is the messaging feature. I will have guys sending me messages. One recently sent me a message saying so desperate to chat and get to know me, others have asked to see my chest area, or tell me they can’t see my chest area in my profile photo, or to download another messaging app so we can exchange photos. I’ve had to block them, or they block me when I tell them no, let’s just finish the game. It’s supposed to be family friendly scrabble games. 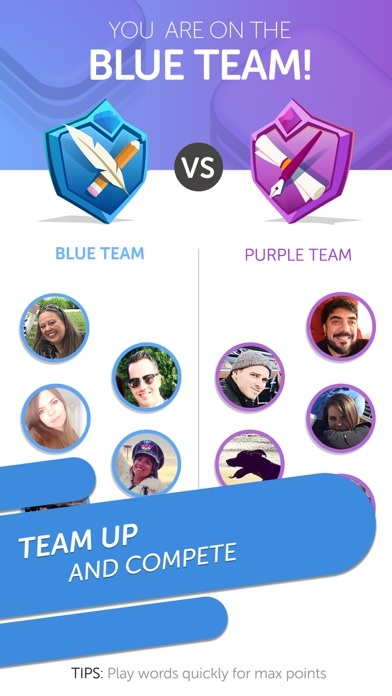 Why the heck does there need to be a messaging feature at all on this gaming app? It should totally be removed. I’ve had several people point out to me that the photo I had for my profile made me look like I was a teen. Which is even more sickening to be getting messages! Hopefully the photo of a dog will keep these freaks from messaging me. But seriously words with friends. Remove the messaging feature. It’s not needed. Solo game is soooooo frustrating. 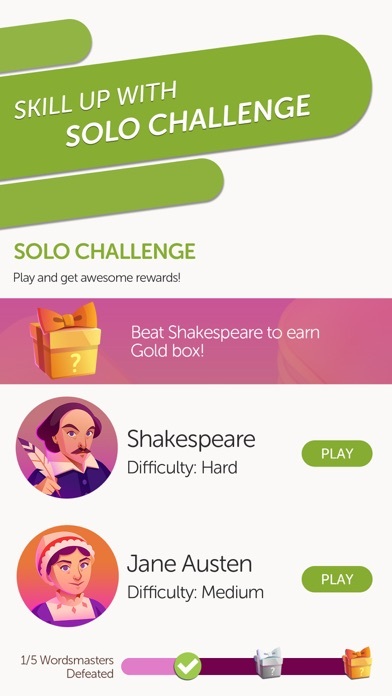 Update 4/21/2019 Hey Developers! How about having a list available of all the “ Valid with no definition words” to players. Think that would be even slightly fair? They are not in any legitimate dictionary so not available to the player, just the app when playing the solo game. How do these non-words (often misspellings of actual words) get to be in your dictionary of legit words. I believe they should not be included unless available to all or justified by a standard dictionary. I suggest you update to use the same dictionary Scrabble accepts. Love playing with friends but think the solo game should be eliminated if kept as is. 8/3/2018 ( my previous review follows as I left it.) Just played solo game 5 times. Here are some of the apps words: Wud, imido, enatic,evzone,zymes, quil, Fiars, becaps,aliya,azon (valid in Words with friends, no definition available) Glazy adj, (no definition) Izzard (first word app played using a blank for the second z) 1. This is just junk. Enatic is the only “real” word. 2. Notice how many z’s the app gets while the player supposedly randomly gets 1 point letters. 3. Apps uses proper nouns and abbreviations! 4. I consider this to be no fun at all. Come on, developers, give the player a break and eliminate the “valid” with no definition words. Update that dictionary and take out the proper nouns and abbreviations. 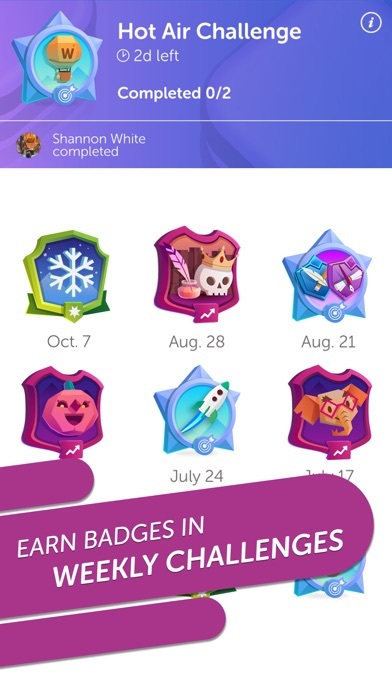 The app will let you accumulate 1500 reward points and then just dumps any other rewards the player earns. I still play with games friends but from now on the Solo game is no friend of mine. I notice that many of my former opponents have deleted this game and have found another scramble type game to play. Below is my earlier review. Just finished playing this twice and have decided it is a scam to get you spend your accumulated points. 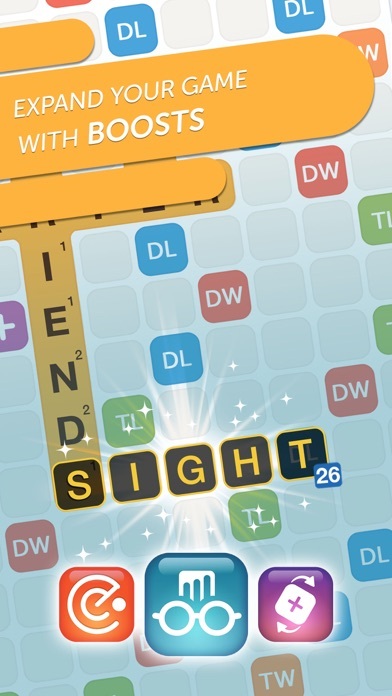 In the past few games, the app played just one word that I considered legit. All the rest were either Valid word in Words with Friends ( with no definition), with a bizarre spelling of a real word, a proper noun, an archaic word, an obscure medical term, a foreign word, or an abbreviation. Come on you guys, fix this, would you? You keep saying the dictionary will be updated. It seems that one can just put up a random set of letters until an acceptable group is accepted. I remember once having the app play a set of 4 consonants (no vowel or letter y at all) and when I looked at the definition it was the valid word, no definition available message. Is this the result of people requesting a word to be added to your dictionary? Love this game and playing all parts, but I have about had it with the solo play part. WWF2 is a great, well-put together app. The gameplay is smooth and seamless. A lot of words lately have been allowed in the game that don’t have definitions, which is frustrating. Also, the WWF team apparently is more concerned with being “woke” than adjusting/editing the game itself. A lot of daily words to collect points used to earn chests are made up words, like “herstory”. This is a word board game, not a political platform to push your opinions on others. Been playing this game for years. Lately it has been allowing opponents to play words like “oo” “ee” and “ja”. 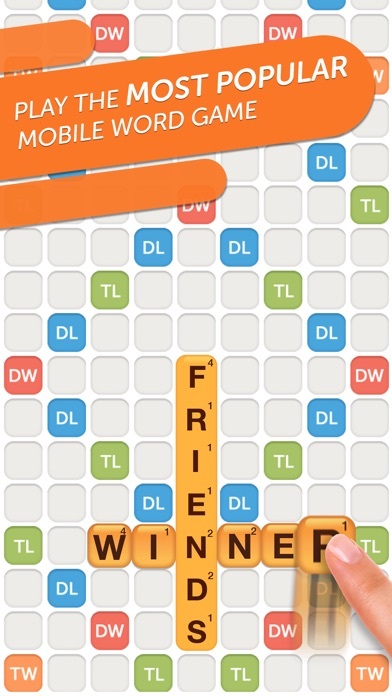 In the exact same game, I try those words and they “are not valid WWF2 words”. It allows proper nouns sometimes too. Very inconsistent. Probably inconsistent based on platform. I’m playing solely on iPhone. Opponent said sometime a word that works on computer won’t work on her tablet or phone. Yesterday I clicked on a word an opponent had used to see the definition and it said “this is not an allowed word” or not valid. And my opponent had just scored points with it!!! Enjoy the game but its inconsistent nature is frustrating. It was my fault for not reading closely what I was buying. However having to pay 9.99 for only 30 days of ad free playing is insane. I would rather delete the game then play to watch ads. I paid 9.99 thinking I was buying the game till a popup appeared with said 9.99 for 30 more days. I waisted 9.99 plus tax I’m sure. Insane!